Since 2017, Google has been identifying and removing ads from websites that are violating its publisher policies. Google’s annual report for 2018 shows that the company has taken out 2.3 billion ads and suspended almost 1 million ad accounts that were violating policies on the ad platform. To help advertisers in managing their ads, Google will be adding a tool that will inform advertisers if their ads are at risk of being taken down due to policy violations. The “Policy Manager” is a central hub where users can monitor ads, keywords, and extensions across their entire account. 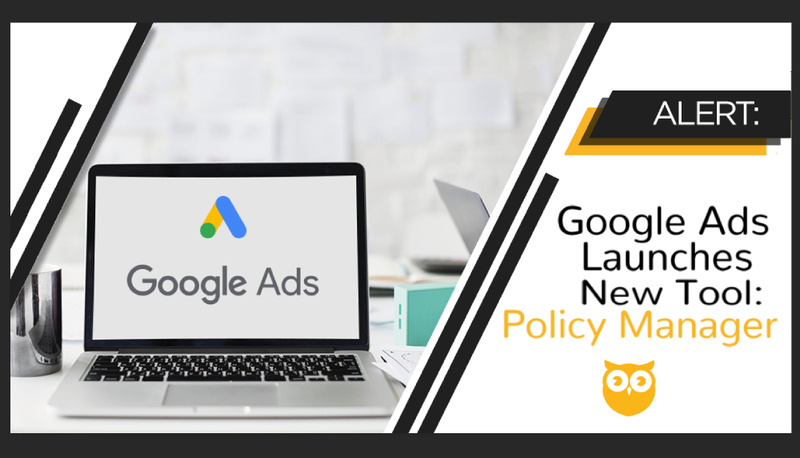 The Policy Manager will give advertisers a clearer picture if their accounts are experiencing any restrictions due to a violation against Google’s ad policies. Although still in its refining process, the Policy Manager can alert users if an ad is violating any rules, even if it’s still in the creation process. This will give users the opportunity to make any changes before submitting the ad for approval. Better quality ads mean better leads/sales which can result to an increase in ROI. The new Policy Manager feature gives us a more detailed explanation of policy violations. This will help us in fixing issues much easier, which will certainly result in better ads. If you are a business owner who is struggling to reach your target ROI due to faulty ads, you can consult a PPC expert and use the tool to improve the quality of your ads. You can also ask your digital marketing specialist or PPC technician to take the time to visit the Policy Manager every single day to make sure that issues will be addressed right away.